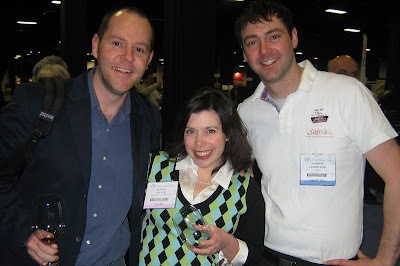 I ran into Scott Weinstein from Martignetti (distributor). He's a class act- one of the best guys in the local wine scene. Mourad from WineHug is a really gracious and fascinating guy and I was glad to meet him face to face after reviewing his product. People from New Zealand are cool. I met Leonie Bowers from New World Wine Imports at the Soiree event Saturday night and she reached out and invited me to a tasting with Andrew Moore from Waipara Springs on Sunday at the Expo. Really nice Sauvignon Blanc and a pretty darn good Pinot Noir too. Nobody works the audience better than Gary Vaynerchuk from Wine Library TV. He's a master glad-hander, and I think (hope?) I've learned some things from his rise in the wine trade over the last few years. 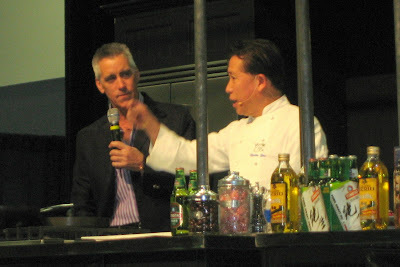 I hope to have an interview with Gary regarding Corkd.com forthcoming, and I was intrigued by his introducing me to his colleague Lindsay to talk further about Corkd. I bumped into Mike Caccavelli from Route 9 Wine & Spirits while talking with Gary V. Mike's a really nice guy and in addition to his wine knowledge knows how to smile and treat a customer the right way. Check him out if you're in the Boston area. Drew Dickson from Andrew Lane Wines is a great guy too. His Cabernet Franc was *pheonomenal* and I'd encourage you to seek his wines out if you're in California. I picked up an instant wine chiller from Marc-Andre and Eric from Ravi Solutions. I'm looking forward to putting that wine accessory through its paces over the next few weeks and will follow-up with a video review and interview (as usual) for sure. I'll be following up with more stories from the Expo, but I wanted to get these highlights out before they slipped my mind. If I saw you there- it was great to connect further and especially face to face. If I missed you- then I hope to see you at a future event! 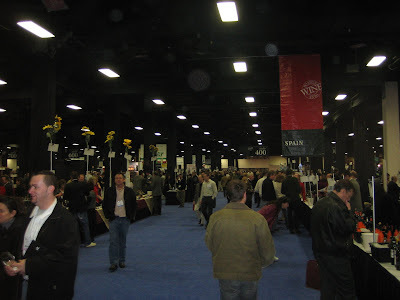 Question of the Day: Did you attend the 2009 Boston Wine Expo? What did you think?